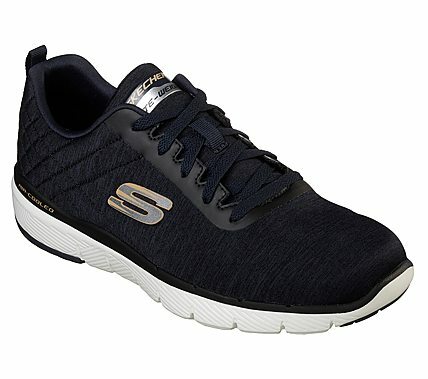 Spike your workout style and comfort to max levels wearing the SKECHERS Flex Advantage 3.0 - Jection shoe. Soft woven heathered-finish athletic mesh nearly one piece fabric upper in a lace up athletic training sneaker with stitching accents. Air Cooled Memory Foam insole.